For the past few years we have been discussing the threat of anti-regulatory legislation. In some ways we have been challenged in how best to monitor and respond to this threat, as many of us concur that there are obvious cases where the requirement for licensure has been abused. In the beginning of mandated regulation only a few professions were covered, including medical doctors, dentists, architects and, for well over 100 years, Certified Public Accountants. Now, with the proliferation of regulation, some states require licenses for 50 or more service providers, of which few would be described as “professionals,” including hair braiders, parking lot attendants and private investigators. Our position is not broad support of regulation, but we support the importance of regulation of professions on which the public relies. 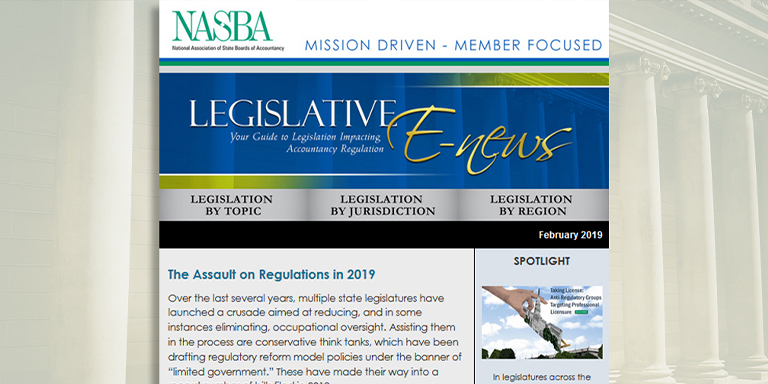 NASBA, working closely with AICPA, State Boards and State Societies, has been successful in warding off bad legislation for years. However, there has been a significant shift in the tactics, legislative approach and, indeed, momentum of the anti-regulation movement. 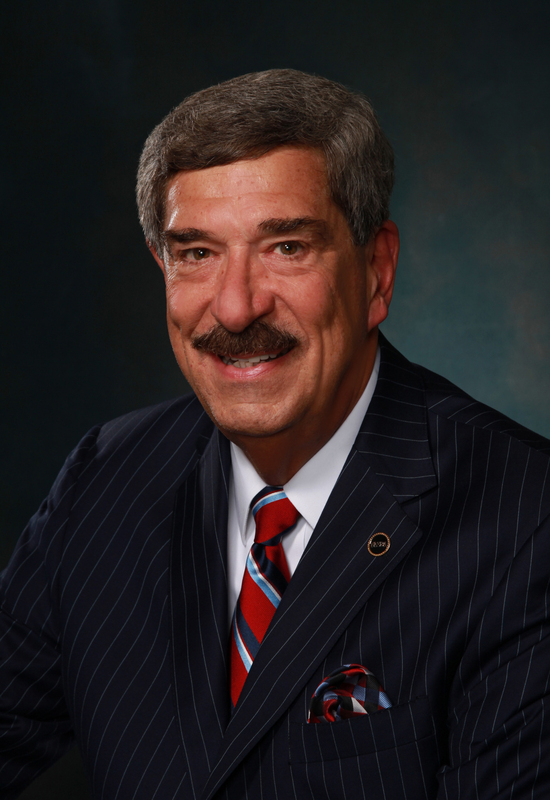 In January, HB 2697 was introduced in the West Virginia House of Representatives that would allow any non-licensed individual to enter into a “non-licensed disclosure” agreement with a potential client, allowing a non-CPA to provide a service for which the state otherwise requires an occupational license. I am sure someone like Bernie Madoff would have gladly signed such an agreement with a non-CPA. The point is, the reliance on the work of a CPA is often not limited to the “client,” but extends to investors, banks, acquirers of businesses and the public in general. Folks, I sincerely believe this is not a battle we can lose. We have all seen the claims of expertise and value of others providing non-restricted services that CPAs provide for the public, and the continual promotion of misleading and confusing titles that claim to match or surpass the abilities of a CPA. Can you imagine the misleading advertising and false arguments that will be developed in West Virginia if that Bill does not exempt CPAs. HB 2697 opens the door to consumer confusion as it permits the unlicensed person to “list the private trade organizations to which the unlicensed person belongs and any titles or credentials the unlicensed person earned from those organizations” on the disclosure agreement. To the states that have not yet seen such legislation, know that if a single state passes a permissive bill, the tactics used will spread across the country. Similar legislation has been filed in Indiana, HB 1271. “The expertise Certified Public Accountants achieve through licensure – education, testing and experience – is the very thing that makes it possible for the public to rely on them. The attest services provided by CPAs are an integral part of creating trust in the financial system – not just in the critically important capital markets – but also in financial, banking and credit transactions where financial statements are relied upon every day by banks, insurance companies, investment funds, governments, private individuals, equipment and inventory suppliers and other grantors of capital credit. Additionally, the income tax and broad array of advisory services provided by CPAs have a tremendous impact on the state’s economic health and its citizens in terms of the state’s GDP and tax collection. It would be good for all Boards to keep these points close by and ready! I sincerely believe that most legislators and Governors are not trying to create harm to the public. Certainly the proliferation of unnecessary regulation should be considered. Newly elected Florida Governor Ron DeSantis recently tweeted a message that told Florida licensing boards that they need to “open the gates to allow more people into their profession.” I have had the opportunity to meet and speak with Mr. DeSantis in the past, and I know that he is not suggesting that non-qualified people should be able to practice medicine, design bridges or prepare audits. However, I also know that some will try and use his words to promote damaging legislative change. NASBA completely concurs with the need to consider any obstacles that might keep underprivileged, minorities, military, disabled and other talented people from entering this great profession. That is much different than allowing non-qualified individuals to do public harm. To every single State Board of Accountancy member: Your primary responsibility is protecting the public. This threat may be the most critical challenge you will face as a Board member. You are not alone. NASBA, through our Legislative and Government Affairs Director John Johnson, our Vice President of State Board Relations Dan Dustin and our team of legal and communication resources, will be there for you. I hope each of you had the opportunity to read the most recent issue of Legislative E-news for additional information on this important topic. Most of you know that I am not one to cry “Wolf!” prematurely: This threat is real!